The mesh extruder is a tool for increasing the dimensionality of a lower dimension mesh (1D or 2D). Each element is converted to one or more copies of its corresponding higher dimensional element along the specified axis. The Mesh Extruder can also add in the extra sidesets resulting from increasing the dimensionality of the original mesh. Existing sidesets are extruded. 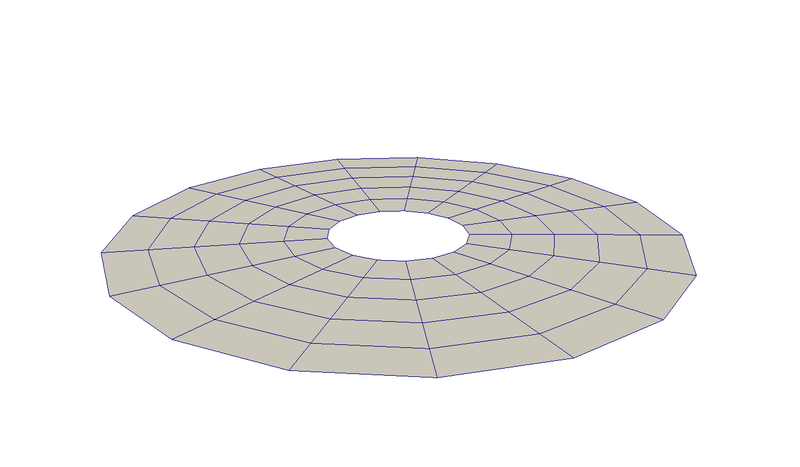 2D mesh consisting of a ring of QUAD4 elements. 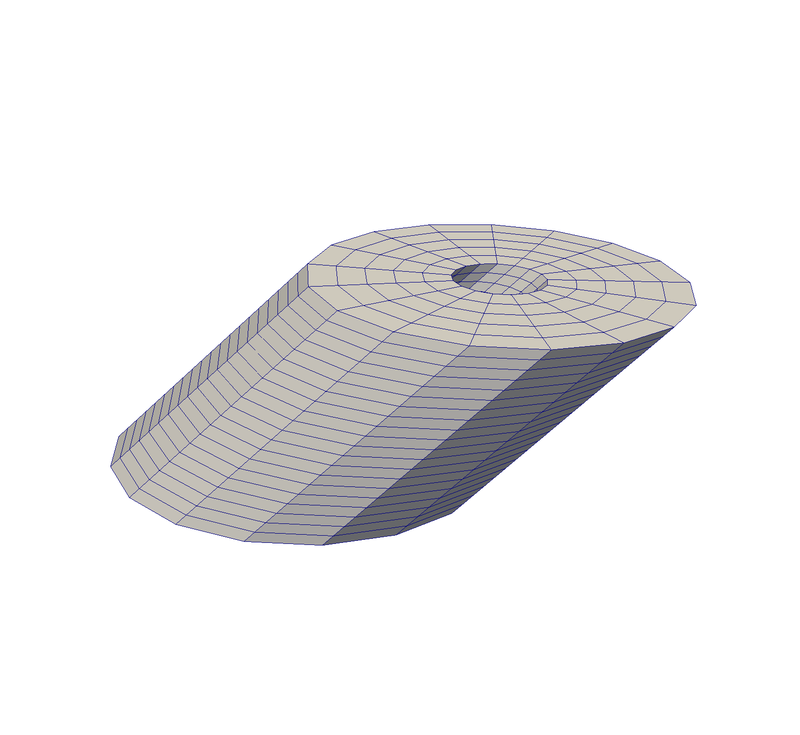 Resulting mesh after extrusion along the vector (1, 1, 0). Takes a 1D or 2D mesh and extrudes the entire structure along the specified axis increasing the dimensionality of the mesh.